GREEN BAY — Against an old foe in a down year but with a passing combination that demands respect, the Packers need a top performance from its secondary on Sunday, and if cornerback Sam Shields is unable to play, first-round draft pick Damarious Randall could become a featured performer. 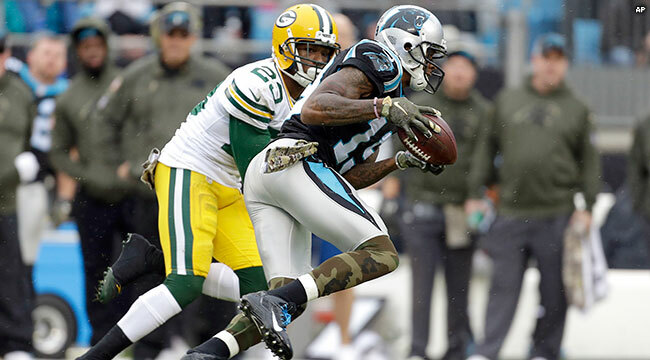 “Damarious Randall has made big plays. Like any young player, you look for that consistency week in and week out. I’m very pleased with the progress he’s making,” Coach Mike McCarthy said of the rookie cornerback. Randall made a game-saving pass defense against San Diego and a late-game interception each of the last two weeks. His game is sharply on the rise, and he could get the biggest test of his rookie season this Sunday against Calvin Johnson. Shields is nursing a shoulder injury that caused him to miss the game in Carolina. Defense is at issue again for the Packers, and that always means Dom Capers becomes a target of discontent. What does McCarthy think of his defensive coordinator? “What you appreciate about Dom is he’s the same person each and every day. He’s an early riser. He gives very steady leadership from the coordinator position. He believes. He believes in the system and in the players,” McCarthy said.